In 1971 artists Bill Vazan and Gary Coward, curator Zoe Notkin and art critic Arthur Bardo organized the exhibition 45°30′ N-73°36’ W at the Saidye Bronfman Centre and Sir George Williams University Art Galleries. 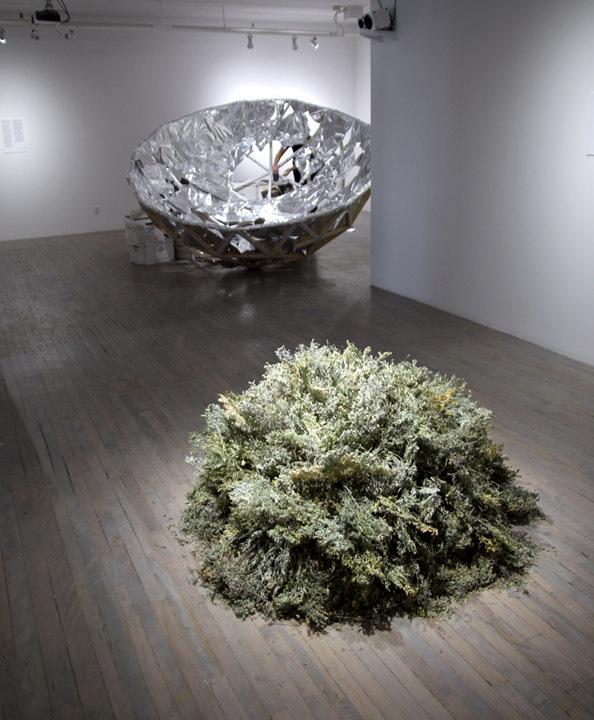 Considered to be one of the first manifestations of conceptual art in Montreal, the exhibition featured the work of Canadian and international proponents of the movement, including N.E. Thing Co., Michael Snow, Françoise Sullivan, Ian Wallace, Sol LeWitt and Lawrence Weiner, among others. Despite such auspicious beginnings, few traces of the exhibition remain. In fact, no exhibition archives for the Saidye Bronfman Centre exist prior to 1972, five years after the institution’s founding. Whether the work of nefarious conspiracy, administrative oversight, errant intern, or lack of time, all that remains of 45°30′ N-73°36’ W is Inventory, a collection of index cards with written instructions, drawings for the execution of works, and quotes from prominent theorists that serves as exhibition catalogue. Forty-four years after the original exhibition, and eight years after the inauguration of SBC Gallery of Contemporary Art as a distinct institution, the CRUM aims to fill the lacunae of the missing archival entry. Employing the qualitative method of Accurism™* and safe, modern technologies, the CRUM conjures a new exhibition and transmits, in real time to the present era, the lost archives of the progenitor of Montreal Conceptualism. All precision measuring, metering and retransmission of archival information will be executed at a safe historical and metaphysical distance, in keeping with standards imposed by the competent regulatory bodies. This entry was posted on	December 9, 2014 at 2:00 pm	and is filed under CRUM Projects.